Leave it to me to raise the stakes on any challenge. It is not enough to simply ride to a coffee shop and sip coffee, no, I ride in 45 degree weather down an inner city bike path to first photograph Cowboy Cross (cyclo-cross) inside and outside the Western Stock Show arena, and then pedal to boiled coffee inside a former 1880's brick foundry building in the hipster heaven up-and-coming River North (RiNo) District located in upper downtown Denver. It was so cool. Quite the adventure into a neighborhood I don't usually visit. But that is exactly what Chasing Mailboxes 2014 Coffeneuring Challenge is supposed to do for me - get me out into new places - as week two of my six week challenge continues. Comments: The Source calls itself an "Artisan Food Market". 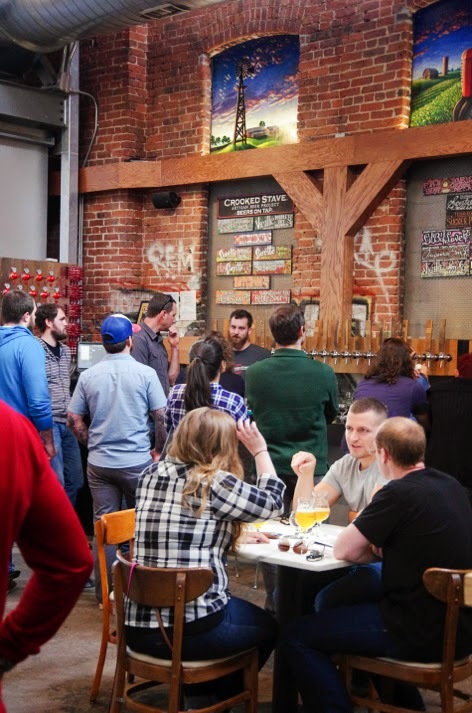 Occupying an former 1880‘s brick foundry building where fourteen different vendors fill the space selling goods from coffee, cheese, beer, tacos, flowers and photography. 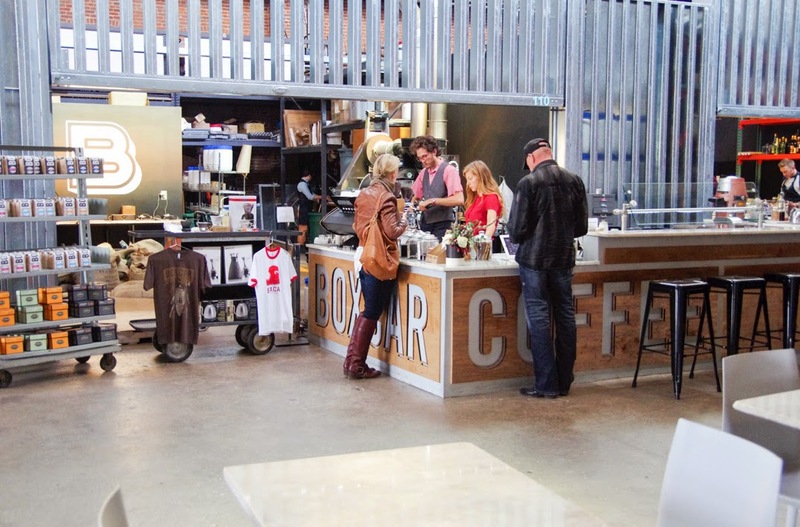 Boxcar Coffee Roaster creates their boiled coffee using a special self-made method to bring out the most flavor, they also use a refurbished 1929 Gothot Ideal Rapid roaster. Boiling Coffee - it's the way the real cowboys used to make it out on the range. Boil the coffee in a big pot over the fire and let the grounds settle. Boxcar adds ice to the boiling coffee to quickly settle the grounds to the bottom of what looked like a science project. 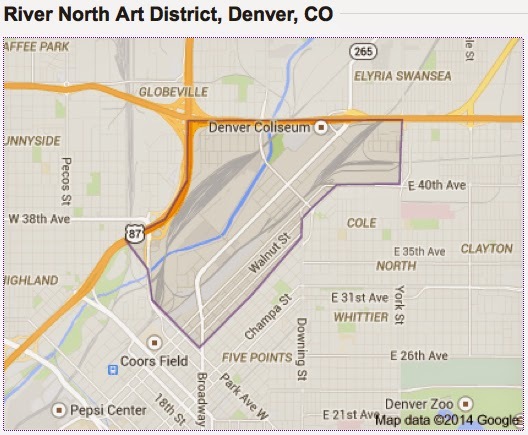 The newly developed RiNo area of downtown Denver, Colorado. 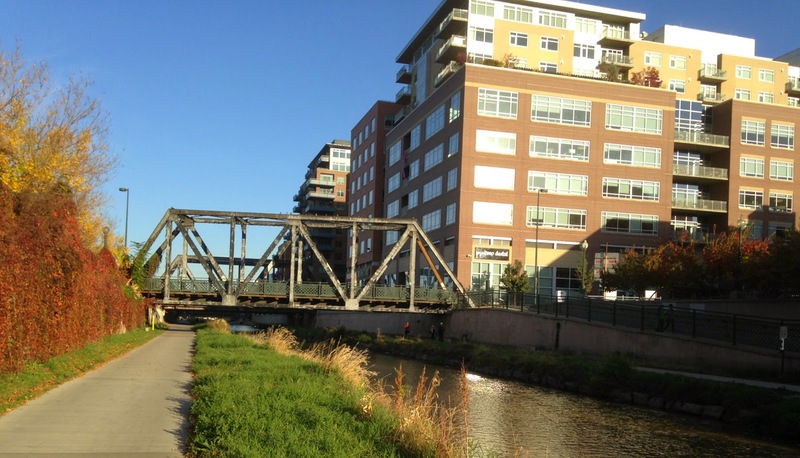 Basically this used to be the railroad yards. 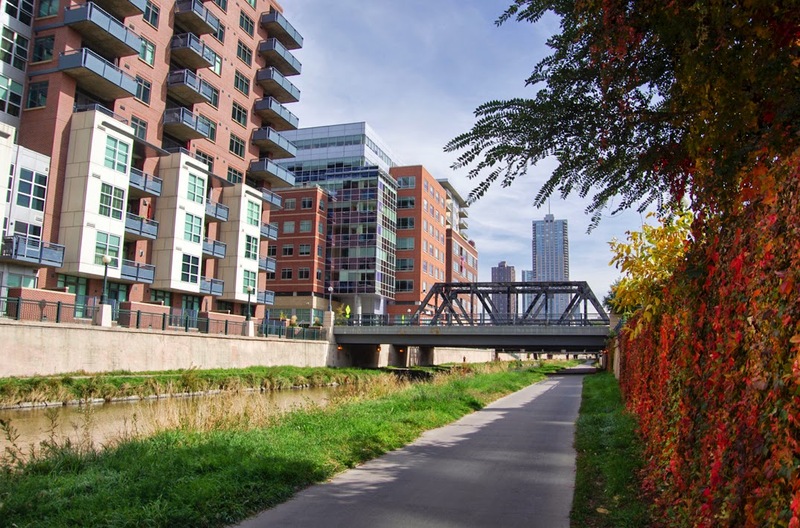 This is the Cherry Creek bike path which runs through Denver along the gently flowing Cherry Creek, past many downtown landmarks. 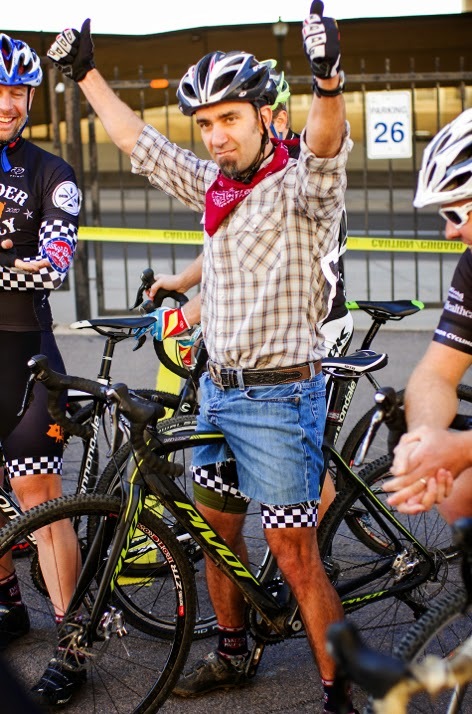 Colorado is still cowboy country, and when your friends show up to a bike race wearing cowboy hats that they just happen to own, you realize it is true. And yes, I own a Stetson cowboy hat. 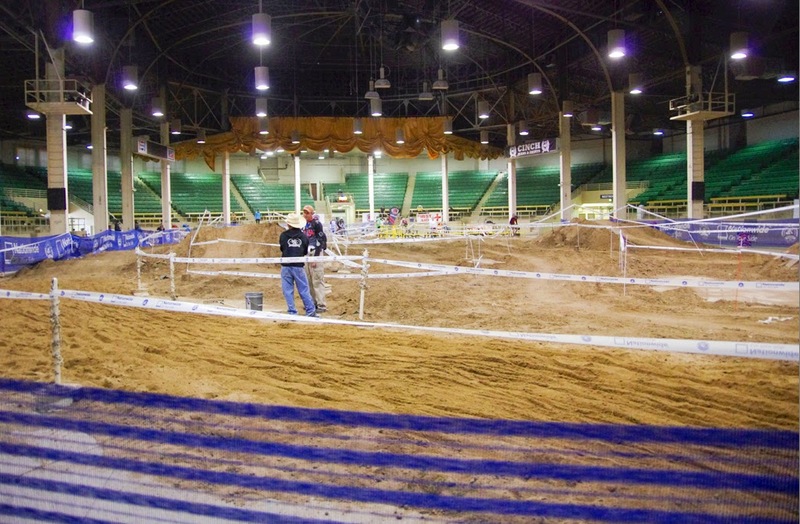 How to build a cross course in an inside arena where cattle are usually shown. I took this photo of my friend Cristienne Beam racing Cowboy Cross. 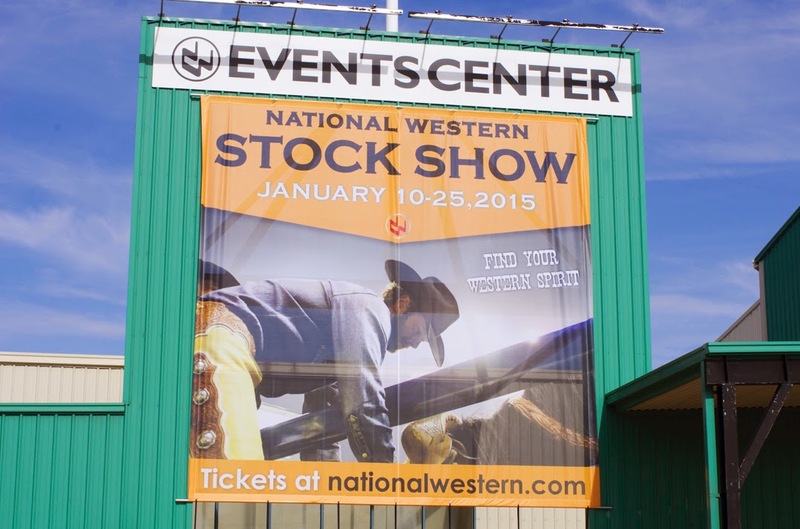 The backdrop is the wall of Interstate-70 which runs east to west through the state of Colorado. 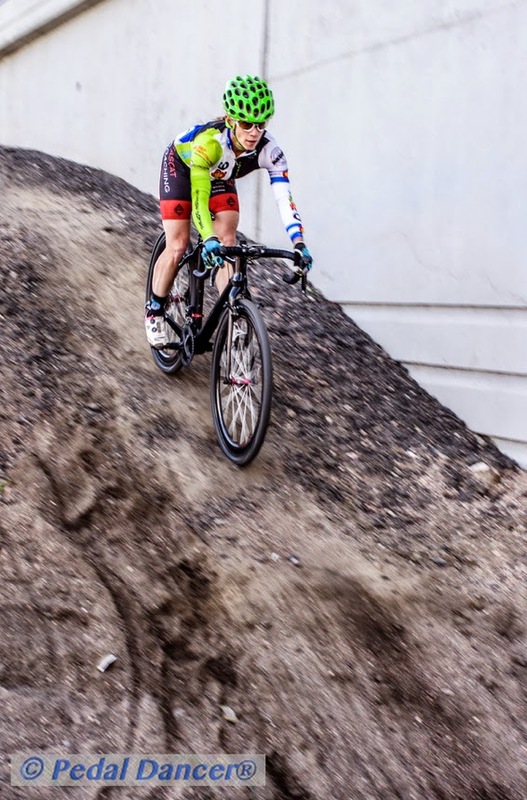 The harsh terrain made for a great half photo/half painting type of shot of a cyclo-cross racer certainly out of her normal habitat. 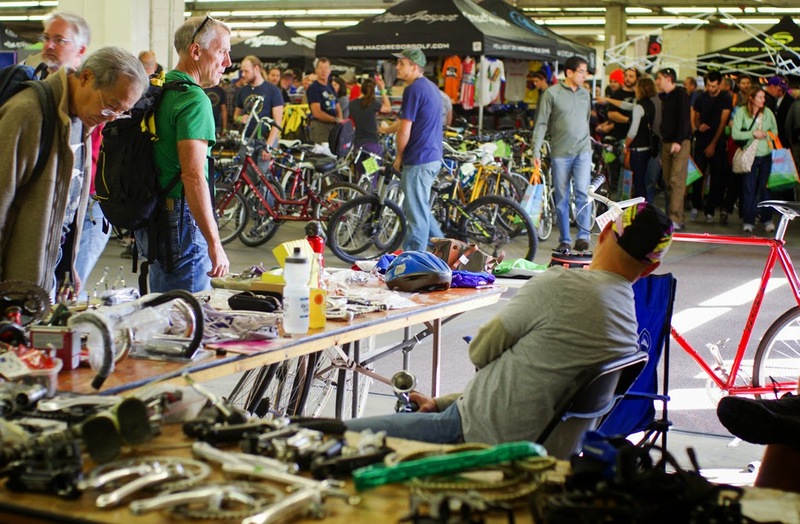 Veloswap, the annual sell your own bike parts event, was going on next door in the convention hall at the same time as Cowboy Cross. 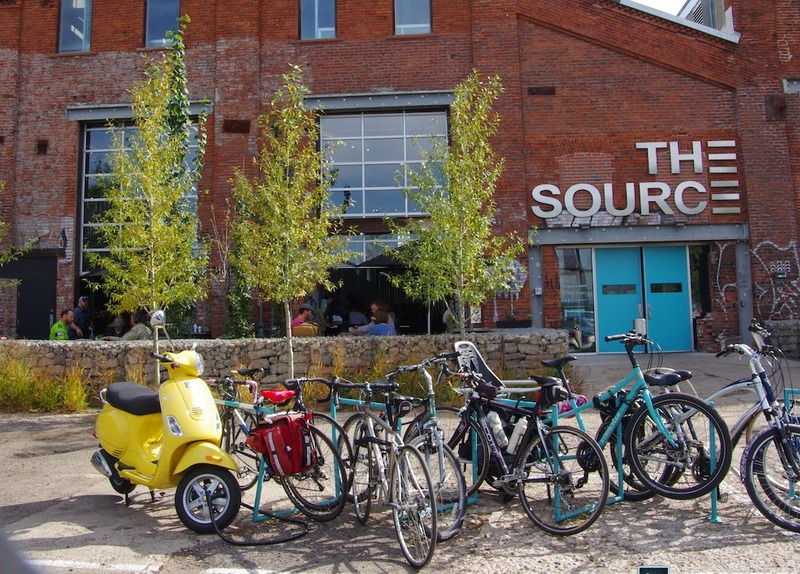 The Source, a new concept making Denver feel a bit like Portland or Seattle. 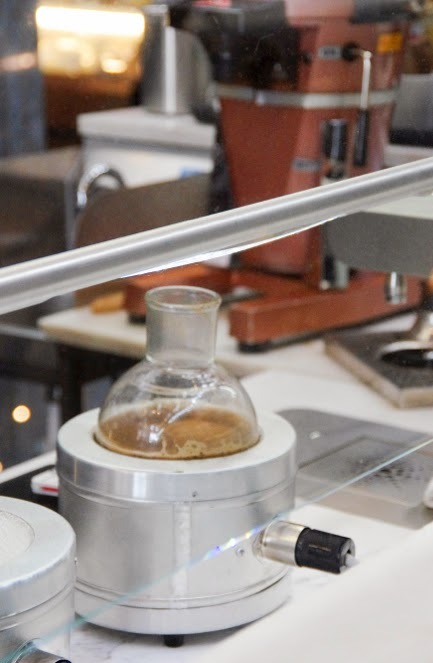 The method of boiling the coffee is only possible because of our high altitude in Denver (different boiling point in our mile high city), you won't find this coffee in the sea level cities of San Francisco or New York. 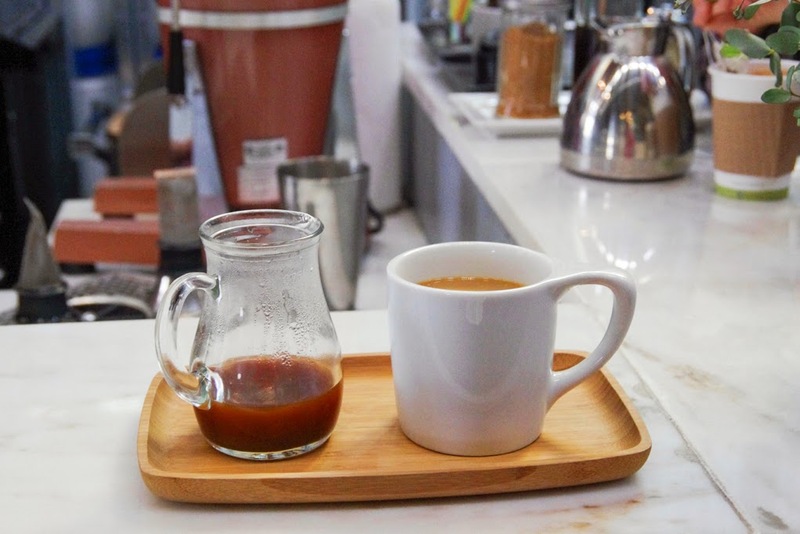 Watching the preparation of my coffee was like watching a science lab experiment of boiling point, ice used to bring the temperature back down quickly, timers watched, and finally coffee poured. The result was outstanding coffee. 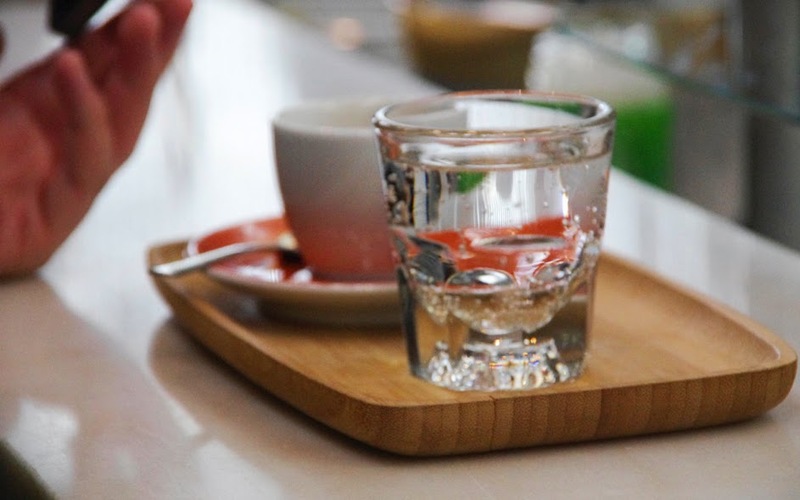 Boxcar was also the first time I had seen a thick cup of espresso served with sparkling water. The idea is to enjoy the contrasting sips. You can also find the Crooked Stave Artisan Beer Project (using the term Brewery obviously was not enough for this brewery) at The Source. These two Penny Farthing cyclists called out "photo bomb" as they pedaled past me up the bike path on my way home. 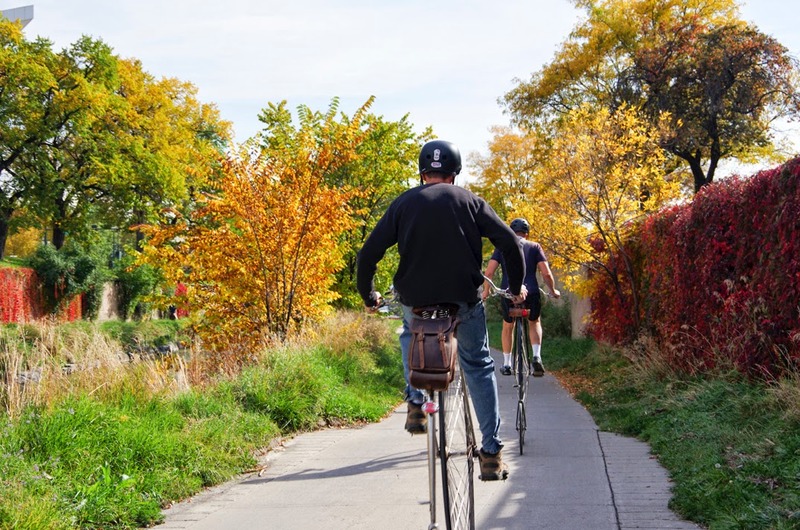 The Penny Farthing was the first machine to be called a "bicycle". 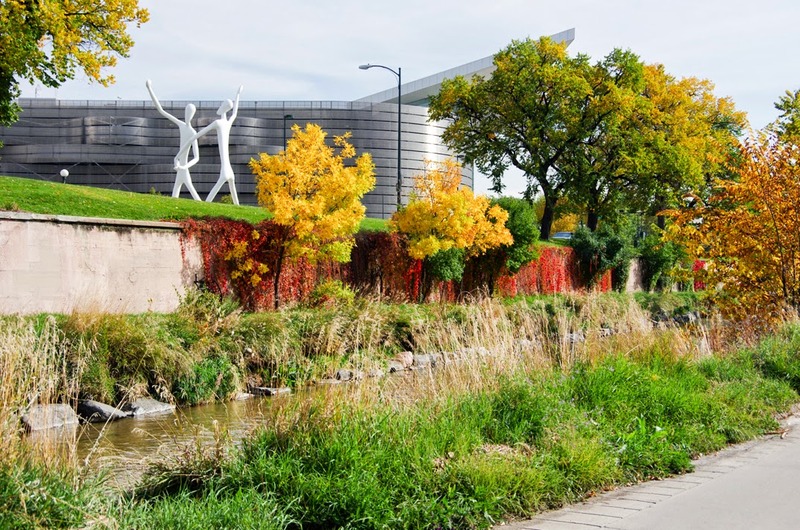 The city of Denver was founded in 1858, just twelve years before the Penny Farthing.